Aprilia Concept RS 660 First Look—Aprilia may have just created the bike every sportbike enthusiast must have in their garage—when and if it ever becomes a production model. 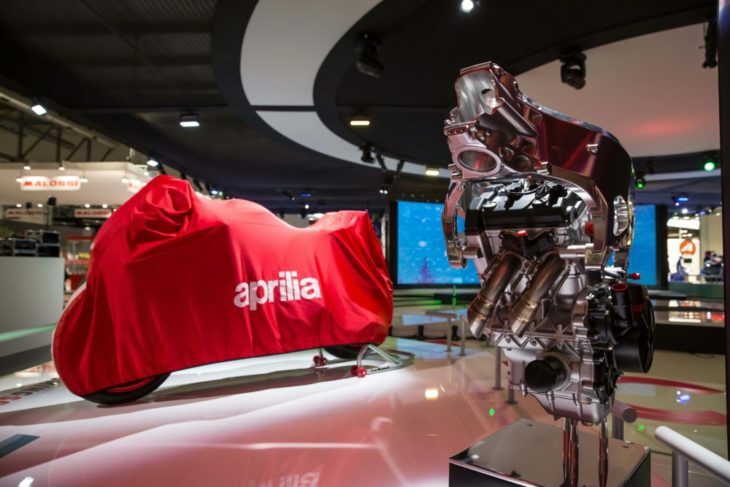 This is the 660cc, parallel-twin cylinder RS 660 Concept, a project Aprilia engineers have secretly been working on behind the scenes for a few years now. 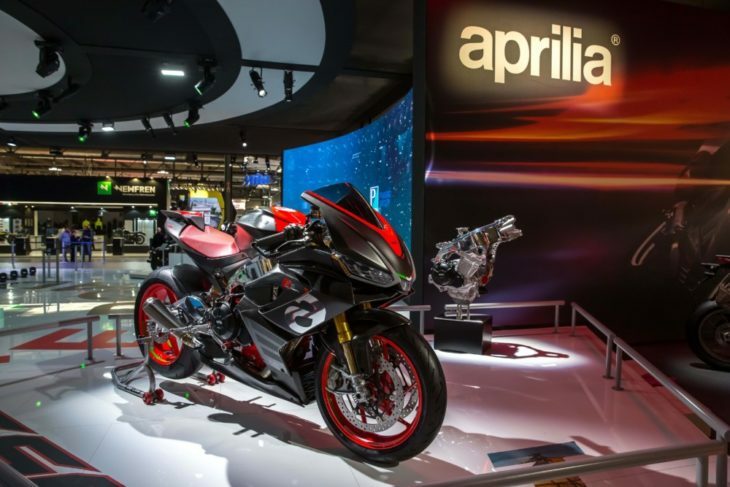 Those familiar with Aprilia history will remember the RS name as one that adorned the finest small capacity production sportbike two-strokes money could buy in the RS250, RS125, and RS50, all of which tragically were confined to the history books as two-stroke production died out. What a weapon this thing would be on the track! This RS 660 Concept has shot straight to the top of the bikes we’d love to ride at EICMA this year. But the dream is once again alive for RS lovers. Essentially the front half of the RSV4 Factory 1100’s V4, the RS 660 is wrapped in a cast aluminum chassis and swingarm, with the bodywork a study in aerodynamic efficiency. The meaning of this is the RS 660 can essentially change its aerodynamic platform to suit the conditions, varying downforce as required. This is something not even allowed in MotoGP, as the downforce ‘winglets’ need to be fixed. 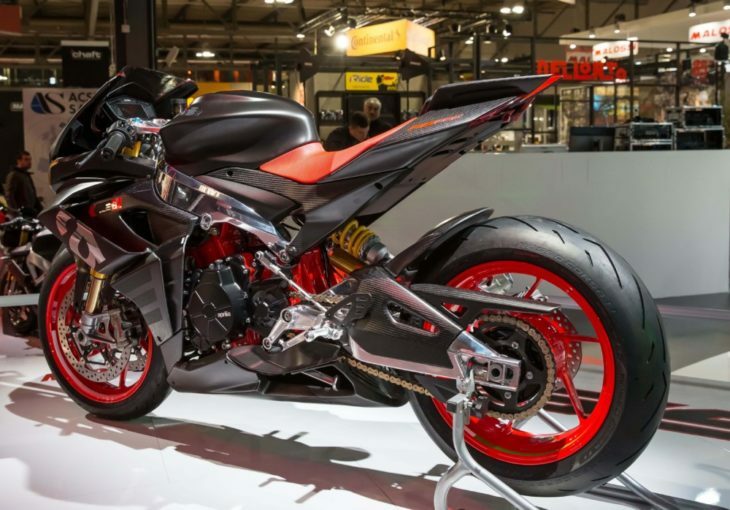 This is the kind of sportbike the world needs right now. 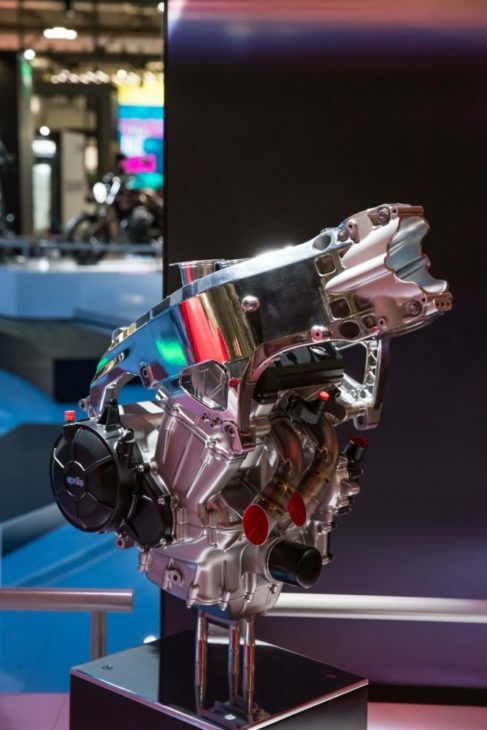 The MotoAmerica Twins Championship is just finding its feet but is overrun with motorcycles who can trace their roots back to the late 1990s in the Suzuki SV650. The series also caters for Yamaha’s excellent MT-07, but neither of these bikes are true sportbikes and require more than a few hours of modification to make them so. KTM’s 790 Duke could be the answer, if it’s allowed to race, to bring the championship into the now, but the Aprilia would be the first purpose-built track weapon for the Twins class, which sees action not just in the U.S. but in Europe and Great Britain, Asia and Australia. 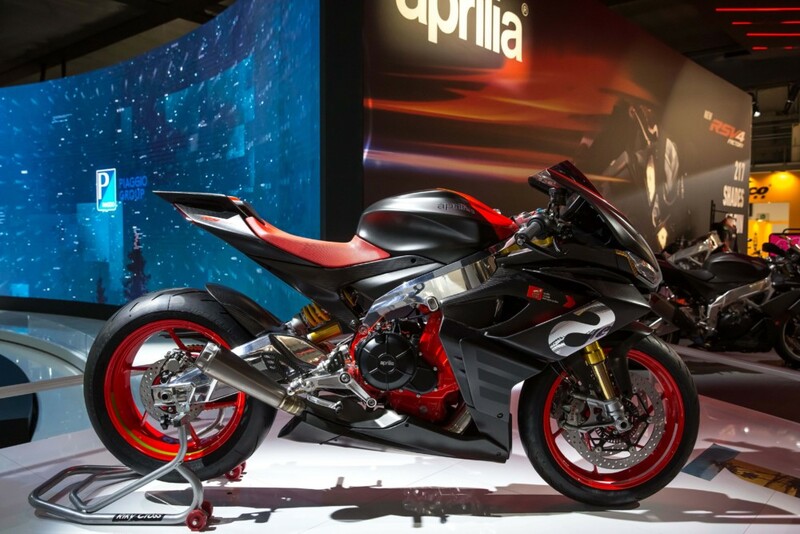 There’s no word yet from Aprilia on if this RS 660 will make it to production. But here’s hoping. Come on, Aprilia. Build the RS 660! Build it and they will come!